Theme: Can rural Ireland survive? 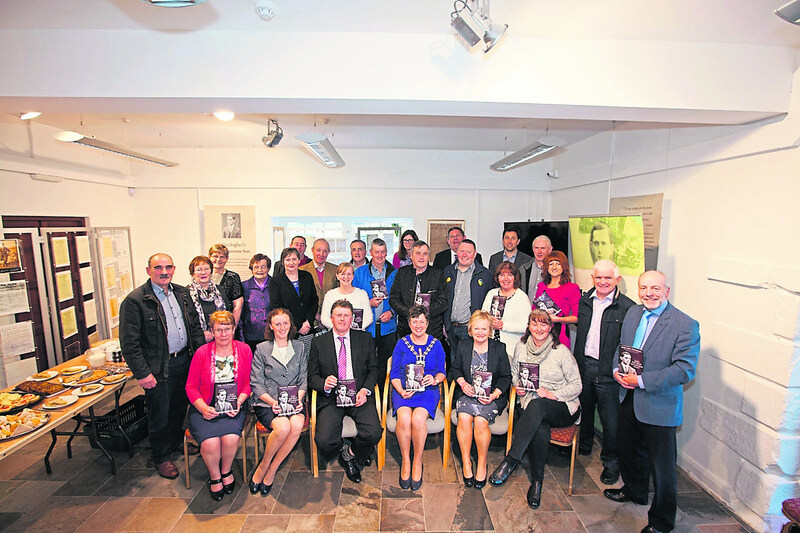 The launch of the 9th Sean Mac Diarmada Summer School took place on last Friday at the Heritage Centre, Kiltyclogher. Supported by Leitrim County Council, and one of its annual events, the Sean Mac Diarmada Summer School is now taking its place among the annual calendar of summer schools being held nationwide, and is certainly living up to the academic and public interest expectations of these events. Thanks to the hard work, dedication and commitment of the Summer School committee, the local community, and Leitrim County Council, Kiltyclogher has established a summer school that boasts the very best in academic research, and accomplished speakers, bringing international academics and household names to Kiltyclogher, to Leitrim. The Summer School has, up to now, focused on historically, what has shaped us as a nation, and as a people, on what has contributed to our identity both at home and abroad. However, in 2017, thew organisers moved to broaden the compass of the event, seeking to examine major economic, societal and political activities, and events, that will impact us all into the future. The theme of 2018 – “Into the West: Can Rural Ireland Survive?” surely could not be more pertinent and relevant, especially to the county of Leitrim. Currently, we are witnessing in so many of Ireland’s rural communities, a decided depopulation. Services being closed, a lack of good infrastructure, a bleeding of young people to the east coast and other major centres of population, in search of employment that they cannot source here, small shops closing their doors for the last time, small schools gasping for survival, seeking pupil number projections to see if they can hold their teacher allocation for just another year. Community development groups with tiny numbers of participants struggling to preserve the community they have and revitalise it with new energy. All of this will continue if rural communities cannot hold their current populations, or attract new people. In a worst case eventuality, even this current scenario, bad as it is, won’t continue and we will see our smallest and most rural groupings of people dwindle away into ghostly representations of what rural Ireland once was. The opening event takes place on Friday, June 8 at 6pm with the official opening of the Summer School at the Mac Diarmada homestead, followed by the opening presentation given by TV3’s, Aisling Ni Choisdealbha at 7pm in the Community Centre. Aisling will then chair the panel discussion. Participants include the veteran rural development pioneer, Jim Connolly, founder of Rural Resettlement Ireland, Susan Carton, participant in the Love Leitrim group as well as the KiltyLive project which now serves as a template for other rural communities nationwide, Declan Sweeney, local entrepreneur, co-founder and CEO of CampusConnect, a mobile solution that improves student recruitment rates for universities and 3rd level colleges, and Rob Doyle, a vibrant member of many local rural development groups and programmes, including the Rail-to-Trail, Love Leitrim, Green Door Leitrim Festival, and Resilience North West. The panel discussion will offer opinion and analysis on the topic of Rural Ireland’s survival. Saturday, June 9 offers a range of speakers possessed of long standing experience and knowledge in the area of rural community survival and development. The Saturday event opens at 10.30am with George O’Malley and his presentation “Saving the West – What Time is Left?” George, with his extensive experience of rural and agricultural development, asks a stark question with implications; is it actually too late to save the rural way of life in Ireland? Then at 12 noon Eamon O'Cuiv ( TD) brings another stark statement: “ The Establishment and the Government Got It Seriously Wrong in the National Planning Framework.” Here Eamon will offer what he considers to be the shortcomings of the recently published National Planning Framework. At 2.30pm, Caoimhghin O Caolain (TD) presents: Balanced Regional Development: A Win-Win Wherever We Choose to Live” contending that good and balanced regional development offers people choice in their preferred living location. And finally at 3.30pm, Mairead McGuinness (MEP and 1st Vice-President of the European Parliament) concludes the 2018 summer school with “Rural Ireland’s Place in Europe” – hopefully offering hope that indeed rural Ireland does have a value, and a recognised contribution to make on the greater European stage. What do we need to create sustainable lifestyles in rural Ireland? We need good and well-thought through transport infrastructure, a broadband and telecommunications system that matches the best globally and that can permit businesses and individuals to work remotely, regardless of their location and a willingness to come together to create a climate of strong and sustained enterprise which in turn will create the type of employment that will shoulder communities into the future. Mostly, we need recognition, and an acknowledgement from government, and the establishment, that rural Ireland once gone, may never again, rise fully from the ashes. By not acting in time, we may be reduced to being simply a curiosity that tourists come to view, exclaiming at how wonderful this now long- distant, way of life, once was. Perhaps, during the Sean Mac Diarmada Summer School of 2018, we will find some of the answers we so desperately need.